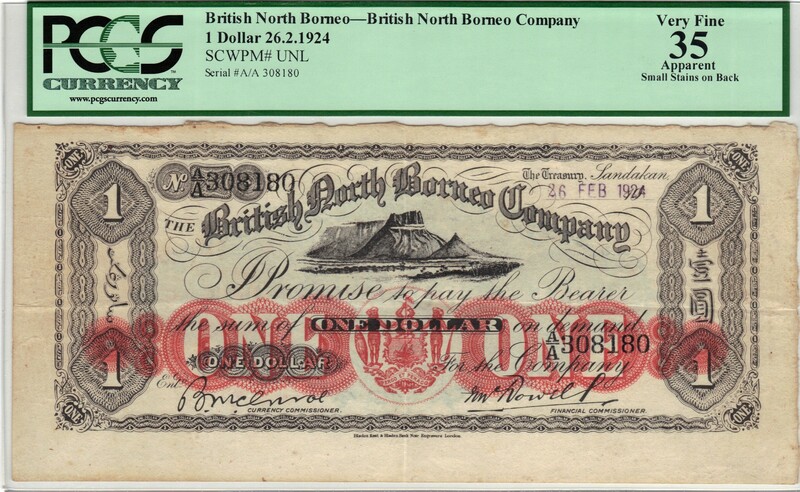 This one dollar note with a date of 26th February 1924 is unlisted in the Standard Catalog of World Paper Money. The date was hand stamped. 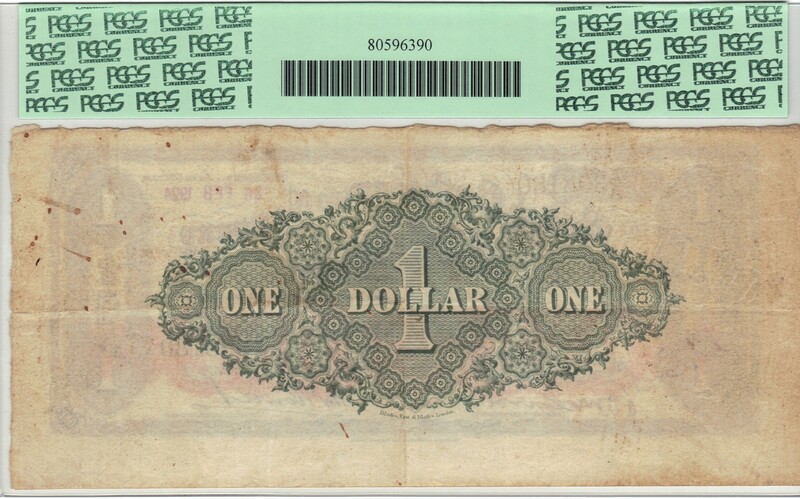 The note is in lovely condition, with PCGS noting "small stains on back". 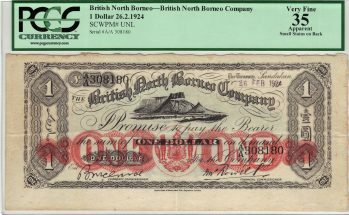 We will let bidders decide the value of what may very well be a unique piece of paper money from a popular area to collect. Our estimate could be quite conservative.